Home | Bookmark Us! Become a Fan on Facebook! 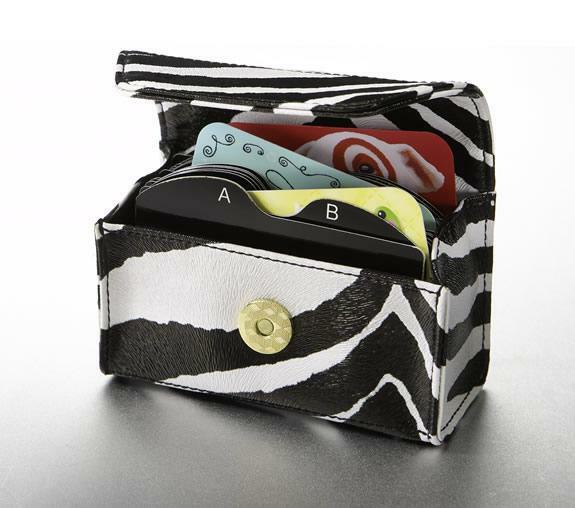 Is your purse a HOT MESS, the Card Holder can fix that! I use mine every day and find itâ€™s the best present, too. The card holder measures 5â€�x3â€�x2â€�, holds approximately 80 cards and is made of material that is wipe-able and durable to stand up to all the use it will get! The alphabetized cards inside are color coordinated with the card holder. Get yours here and thank me later, you messy Bessies!